Hi this is Terri Borman child care provider and author of the children’s book entitled “Shapes Go to School.” Do you remember the song “Mamas Don’t Let Your Babies Grow Up To Be Cowboys?” It was written by Ed and Patsy Price in 1975 and then various other country singers such as Waylon Jennings and Willie Nelson started singing it in 1978. The narrator of the song warns mothers not to let their children become cowboys because of the tough and dangerous life and to this day, farming and ranching remains one of the top ten deadliest jobs. In fact, here are the the top ten deadliest jobs according to Forbes Magazine and the U.S. Bureau of Labor Statistics that mothers might not want their babies to grow up to be. 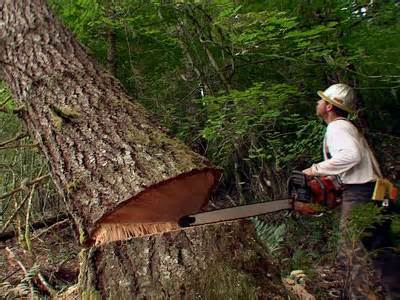 Logging workers take the number one spot for the deadliest job around. Logging workers harvest thousands of acres of forests each year handling extremely heavy equipment. They fight the elements of being outdoors even in poor weather making logging physically demanding and dangerous. Most often they work in isolated areas and if an injury occurs, help is not just around the corner. Most logging workers earned a yearly salary of $33,630 in May 2012. Fisherman have the second deadliest job. You probably heard of the Deadliest Catch from the Discovery Channel? It’s one of my favorite shows and it has really helped shed the light on how tough and dangerous fishing in the Bering Sea can be. 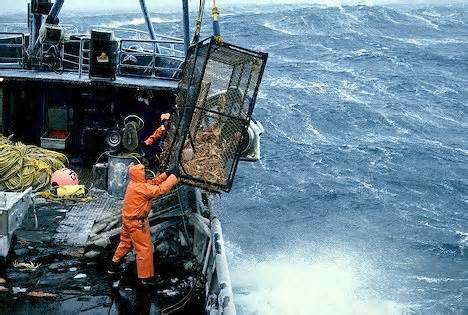 The fishermen are susceptible to getting tossed overboard by a rogue wave, getting tangled up in an 800 pound crab pot line as the pot is going over the rail, getting hypothermia due to the the extremely cold temperatures, and crippling injuries caused by working with heavy machinery and gear. Their seasons are short so they have to spend every minute of every hour hauling gear, leaving them tired, hungry, and dehydrated. The average salary for a crab fisherman largely depends on the market, the catch, and the fisherman’s experience. A newbie called a green horn will only make $100- $150 per day where as the more experienced deck hands will make a percentage of the catch. 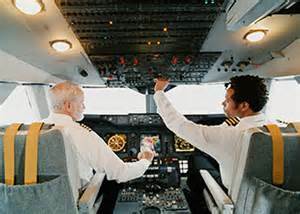 Aircraft pilot, co-pilot and flight engineers have the third deadliest job. Pilots are trained professionals responsible for flying a variety of aircraft such as airliners, cargo planes, helicopters and crop dusters. There are many types of assignments that pilots can take, such as airline and cargo pilots, test pilots, crop dusters, search and rescue helicopter pilots, aerial ambulances or VIP transportation. Pilots are in charge of planning their flight path, checking on the weather conditions, calculating their fuel needs which means knowing the weight of the aircraft, along with the distribution of weight throughout the aircraft. Pilots must be able to navigate, communicate with air traffic control, continually monitor the instruments and if need be, handle any emergencies that occur during flight. The main danger pilots face is obviously crashing which can occur during landing or takeoff, during bad weather, mechanical problems or collisions with other aircraft or objects. The average salary ranges from $88,000-$132,000 but could be as high as $200,000 in the private sector. Roofers have the fourth deadliest job. Working high up on rooftops in all types of temperatures with little or no safety measures, fixing and repairing roofs makes roofing one of the most deadliest jobs. 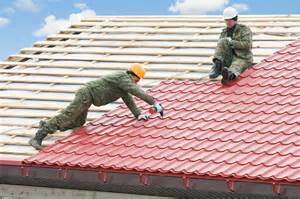 Roofing is physically demanding due to the heavy lifting, climbing and kneeling and they face the dangers of falling from heights, getting burned from hot bitumen (also known as tar), and getting injuries from their equipment. The average annual wage for roofers in 2010 was $38,000. 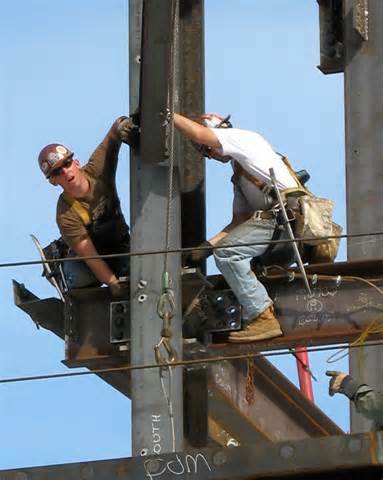 Structural iron and steel workers have the fifth deadliest job. Structural iron and steel workers install iron or steel beams, girders and columns to form buildings, bridges and other structures. It’s physically demanding and dangerous due to often working at great heights while standing on 4″ beams with swinging cranes and dangling I-beams. However, on the job related deaths has declined over the years due to enhanced safety measures, such as installing heavy nets that can catch falling workers or debris. The median annual wage for structural iron and steel workers was $46,140 in May 2012. Trash collectors have the sixth deadliest job. The high number of deaths can be attributed partly to impatient drivers, who try to pass stopped garbage collection vehicles and end up hitting the collectors. Collectors also take precarious perches on the sides and rear of the moving garbage trucks, clinging to handles and standing on narrow running boards. If they slip and fall, they can get run over by the wheels of their own truck or hit by passing traffic. They also face the danger of getting hurt from the heavy machinery to compact the garbage and scoop it up into the main storage area of the trucks. 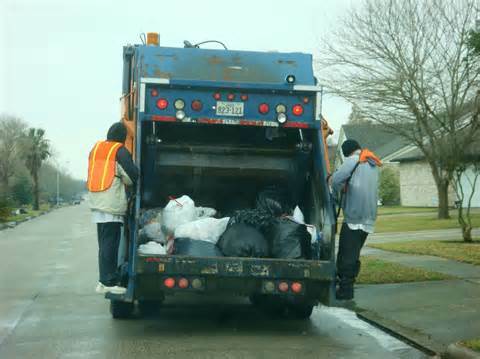 The average trash collector annual salary is $33,760. Electrical power line installers and repairers also known as line workers have the seventh deadliest job. Line workers install or repair electrical power systems and telecommunication cables like fiber optics. 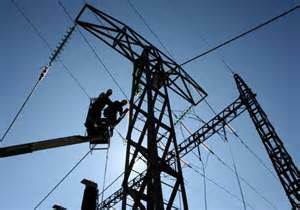 The job is physically demanding and the workers encounter hazards on the job such as high voltage electricity and great heights. Most work regular business hours but some work evenings, weekends and holidays when necessary. In 2012, the average pay was $58,210 per year. 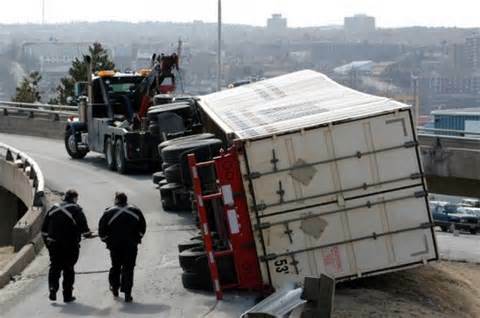 Truck drivers have the eighth deadliest job. Truck drivers drive up to 14 hours straight a day and then get 10 hours off prior to the next shift. There is legislation regulating the amount of driving a trucker performs over the course of a day and week but these rules are commonly broken. In addition to long hours, drivers rarely eat 3 hot meals a day, and when they do eat, it will be fast food or prepackaged snack food. Depression is also a problem for drivers due to the amount of time spent away from home and loneliness. The average annual salary is just under $38,000. Farmers and ranchers, the cowboys, have the ninth deadliest job. Working on a farm or ranch is strenuous and machines do help lift some of the burden, but they are also the cause of many fatalities. Ranch hands use ATV’s to reach distant fields and even to herd cattle and are also becoming the biggest source of injuries on ranches. Horses still cause a lot of injuries too. Many horses are not properly trained and are unpredictable. 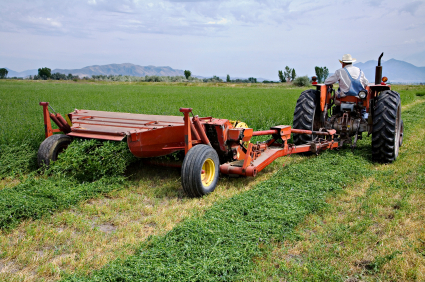 On farms machinery like tractors tend to be the biggest culprit in most accidents. Often times drivers will back the big machines over other workers they did not see. The average annual wage for a farmer and rancher is $70,000. I can personally attest to the dangers of farming. My grandparents had a farm with horses and tractors. The summer I was 12 years of age, I went trail riding with my horse patches. I didn’t ride him enough for one thing and I let him get barn soured. Well one day we got too far out of his comfort zone and he turned around and ran as fast as he possibly could back to the barn nearly decapitating me. That same summer I was joy riding on the tractor with my little brother and older cousin. Of course we lost control, drove through a barbed wire fence, and knocked down a fruit tree. I ended up with many stitches, but both my brother and cousin were amazingly able to jump clear just before impact. That was the last summer I spent at my grandparents farm. Construction workers have the tenth deadliest job. Construction is a physically demanding job with dangers lurking at every turn. The four major causes of death to a construction worker are being struck by an object, falling from a height, being trapped between two objects, and electrocution. 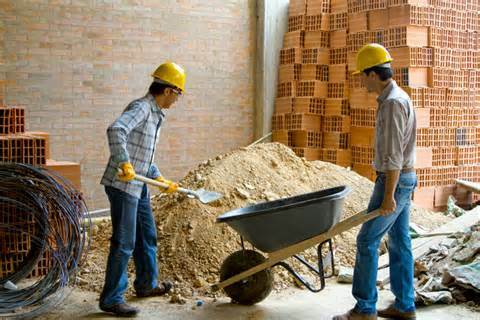 The national average salary for a construction worker is $32,000 but experience and skill set can affect the salary. It’s the first day of school for the shape children and the teacher, Miss Heart, has asked the students to get up and introduce themselves. One by one the shape children get up and tell each other their names, their color, and how many sides they have. It’s a beautifully illustrated book that the children love and they learn all about shapes and colors. To purchase your copy of “Shapes Go to School” click on the picture of the book! This entry was posted in Uncategorized and tagged #deadliest catch, aircraft pilots, construction workers, deadliest jobs, electrical power line installers, farmers/ranchers, fishing, logging workers, steel and iron workers, trash collection, truck drivers on July 2, 2014 by terriborman.